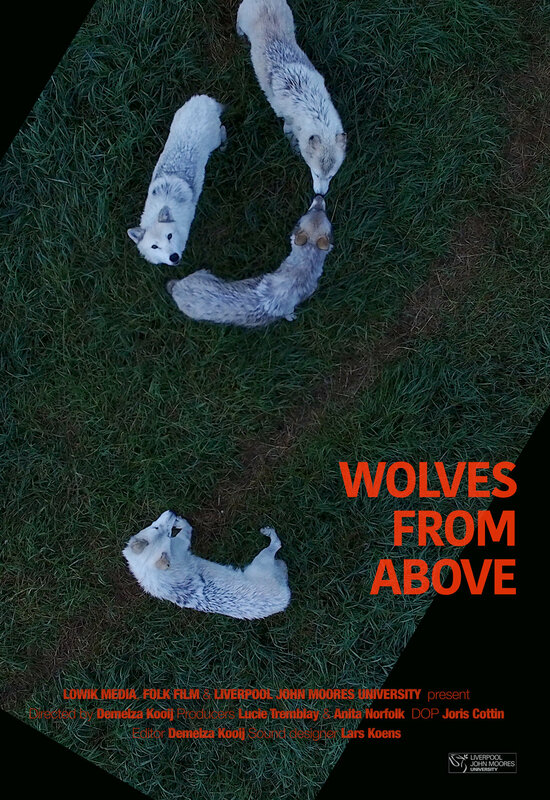 Equal parts documentary and art installation Wolves From Above is a meditation on a pack of wolves filmed from the air. The wolves are quiet and elusive. You can hear the weight of their paws on the grass, some playful growls, sniffing, licking, but on the whole this is a very still space. It is evident that the wolves are communicating, but we as human viewers are not sure what is happening. The tranquil silence draws the spectator in and allows the viewer to discover a different wolf.